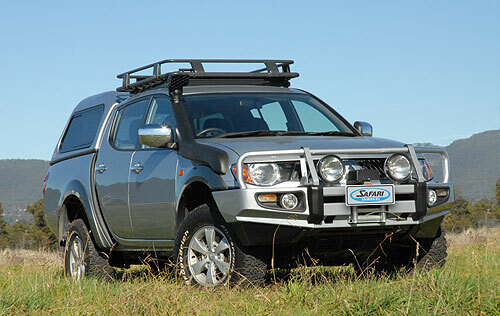 The Safari SS661-HF snorkel is tough and stylish and has been designed to deliver a huge volume of the coolest and cleanest air possible into the standard air cleaner assembly of the Mitsubishi Triton. 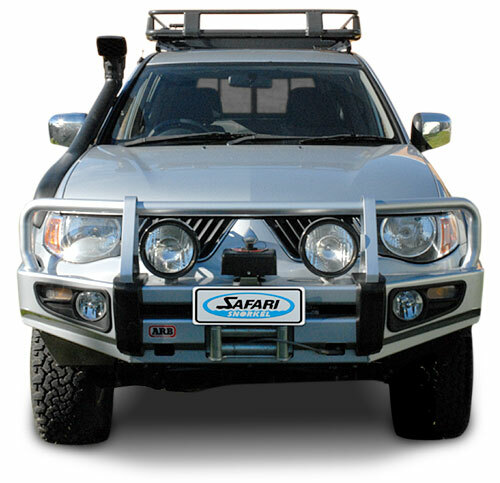 Safari took the decision to design a snorkel system that not only exceeded the air flow requirements of the gutsy 3.2L and 2.5L Common Rail turbo diesels but with enough in reserve to supply a huge mass of cool clean air to engines that have had their performance enhanced. This of course applies to components that are not visible. 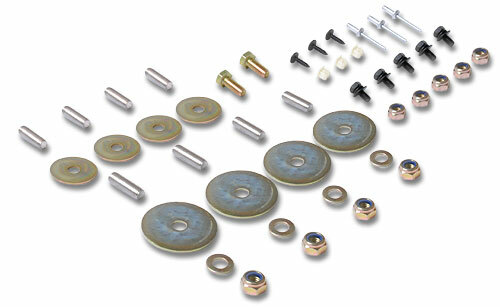 For example in order to achieve the optimum air flow from the snorkel body directly into the standard air intake assembly inside the engine bay area, a special one-piece tough wall rubber duct was engineered to closely couple the two components. By utilizing a special purpose duct, the internal profile can be altered to suit the surrounding components and panels whilst maintaining a consistant internal cross sectional area. 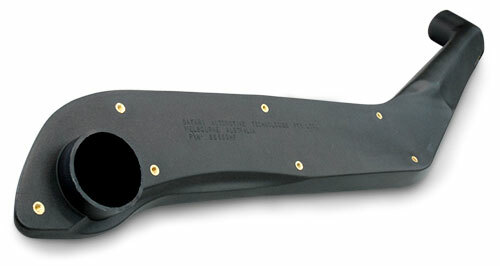 The demand for the optimum air ducting also required the radiator overflow bottle to be relocated - but rather than simply relocating the standard component, Safari developed a special moulded overflow bottle to replace the original component. The result is maximum engine performance and the best possible fuel economy within the tight confines of the engine bay. 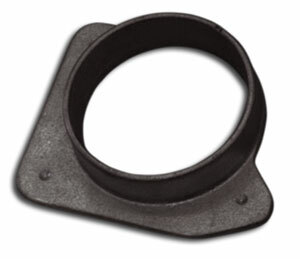 Typical of the close attention to detail that is part of each and every Safari snorkel system, a special alloy connection casting is included in order to deliver a bullet-proof connection to the standard air filter canister. 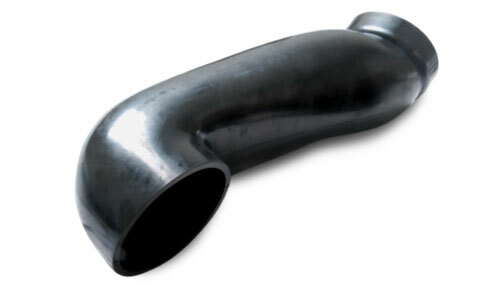 This casting is installed and positively sealed to the air cleaner assembly and forms a tough mounting point for the air intake hose to be installed to. 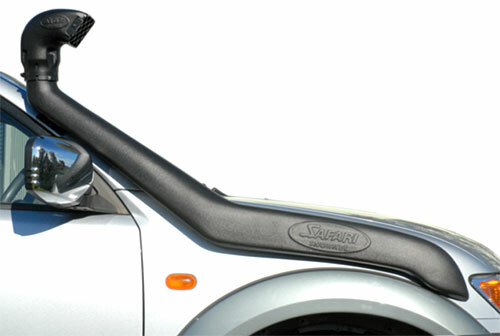 In addition, the detachable Safari air ram can be rotated to any position. This means great peace of mind for those who plan to travel in cold or high altitude conditions where heavy snow falls are anticipated. 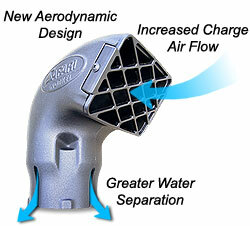 By rotating the air ram to face away from the prevailing wind/direction of motion, the air ram delivers additional protection from the choking effects of snow build-up inside the air intake.